This guide will provide the steps for the iBenefitCenter Mercer login process, and the resources to use if you have problems. We will detail the www.ibenefitcenter.com login process on both a desktop browser and mobile device. The iBenefitCenter is a web portal giving employees access to their retirement accounts. It is managed by Mercer Inc, a global company providing employers with assistance in building a workforce and establishing a benefits program. 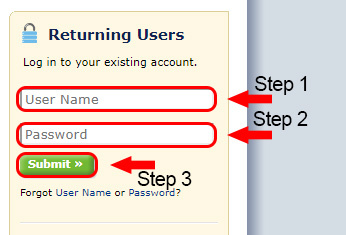 Enter your user name and password in the Returning Users section. Click the green Submit button to complete the iBenefitCenter Mercer login procedure. 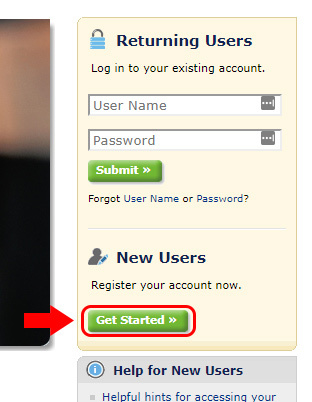 Click on the Get Started button in the New Users section. 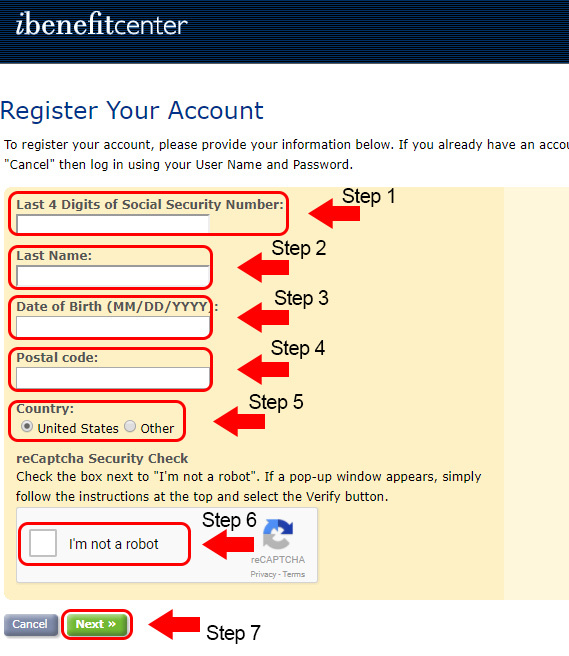 Enter the last 4 digits of your SSN, last name, date of birth, postal code, and country, then confirm that you are not a robot. Once your account is activated, you will need to change this user name and password to protect your security. Establish three security questions and answers for future login verification. Click Continue to finalize the process. **Please note: When you enroll in your company’s benefit plan, you will receive an initial packet of information containing a temporary user name and password. This is the information you should use as you set up your online account. The iBenefitCenter does not have separate apps for mobile device access. However, you can still use your phone or other mobile technology to access your account and conduct your business. It is most effective to set up your account and perform your initial iBenefitCenter Mercer login using a PC or Mac computer before proceeding to mobile access. Check the login help section below to make sure that your mobile browser meets the requirements necessary to access the portal. Input your user name and password in the section dedicated to returning users. Click Submit button to complete login process and access your account. Before you access the iBenefitCenter portal, or any other financial site, be sure that your internet connection is secure. Then, you may proceed by using Internet Explorer version 8 or above, Firefox, Chrome, or Safari version 5 or above. There may be times when you forget your username or password. In this case, click on the forgot user name or password link on the iBenefitCenter Mercer login screen. You will be directed to an account verification form. Once you provide your personal information, you will receive an email reminding you of your username, or instructing you to change your password. You can ask questions or seek support by contacting Mercer using the information below. My login to the ibenefit center is not working, again. When will your website be repaired?